Prostarter Starters use ball bearings instead of bushings that can wear prematurely. 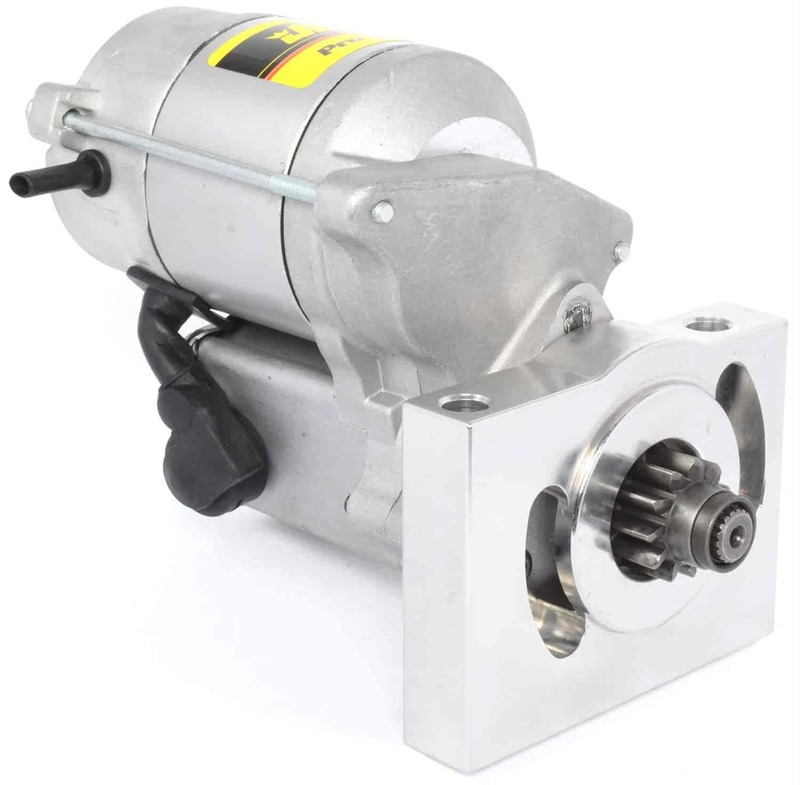 While other vehicle starters offer 3:1 gear reduction, JEGS Prostarters have a Nippondenso motor with a 4.4:1 ratio and cranking power for engines with as much as 12.5:1 compression. 10003 is rated 5.0 out of 5 by 2. Rated 5 out of 5 by Dano 628 from Awesome I have a 550hp 463ci GTO I had a competitors mini high tq. starter motor that wore out relatively fast . Was going t to replace with the same starter but they increased the price dramatically. Decided to give this one a try what a great decision cheaper and it spins the engine much better , my son has the same engine with the same competitors starter motor he is jealous of this starter cheaper . Works better , and even looks like higher quality. If you are looking for a mini high tq. starter and don’t want to spend a fortune you nee d to buy this one . I can’t recommend it enough . Throw in incredibly fast shipping and you can’t go wrong! Does this work with a stock 1978 403? This is compatible with the 403 engine. does this starter fit a 1976 350 Oldsmobile engine? This is compatible with the 350 Olds engine. Does this fit on a 1968 gto 400 engine? Yes, this starter will fit your Pontiac GTO.